Kerlin BBQ is a tiny little outdoor barbecue joint in east Austin, serving some simple meats and sides that’s enjoyable for all ages. Open only Wednesday through Sunday from 11am to 3pm (or sold out) it may prove difficult to get Kerlin’s goods, but believe me it’s worth the schedule adjustment! They exclusively use Prime Black Angus briskets. All natural, hormone and antibiotic free, these are fantastic pieces of meat. 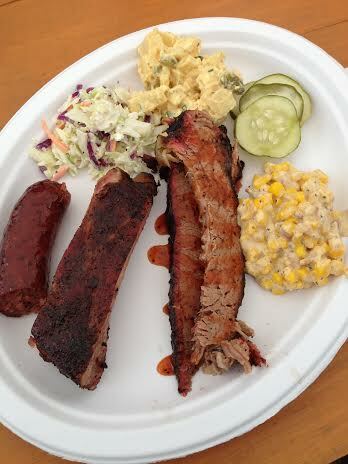 Besides the brisket, my favorite meat was the sausage and the blue cheese cole slaw was on point too. 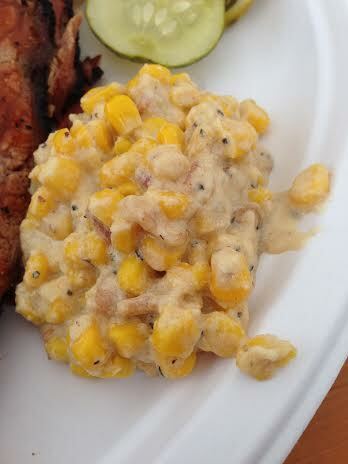 However, the creamed corn was by far the best I’ve ever had, it’s crave worthy for sure! 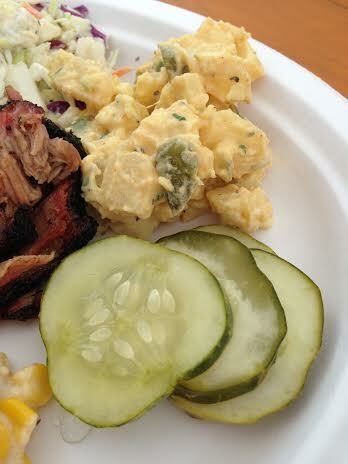 Another noteworthy item was the homemade pickles. Make your way out to east Austin for some awesome barbecue.